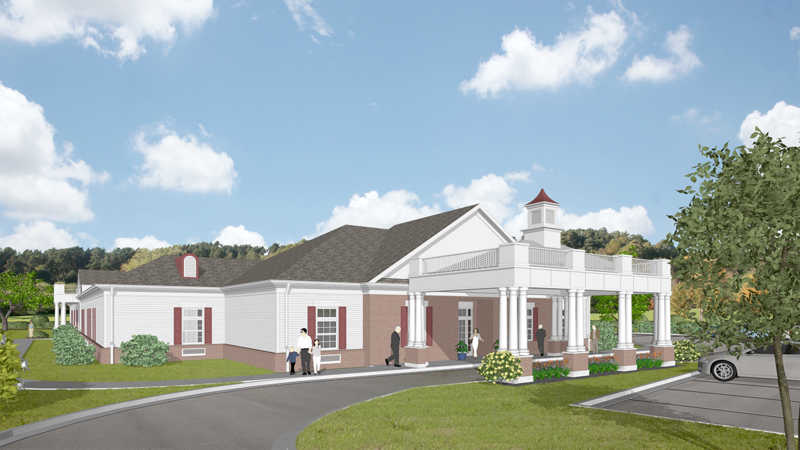 COOKEVILLE – Construction is underway on a new assisted living facility in Cookeville – the first primary Alzheimer’s and dementia care facility in the city. Bailey Manor is planning its fourth Middle Tennessee location – a 20,500 square-foot, single-story structure located at 580 E. Veterans Drive. Cookeville-based J&S Construction broke ground in late August and the facility is scheduled for completion next spring. Bailey Manor will feature 28 bedrooms, a 2,400 square-foot living room with fireplace and coffered ceilings, dining room, commercial kitchen, beauty shop and rehabilitation room. There will also be an employee break room, office area, care station and state-of-the-art security system with keypad access control for entering and exiting. The building, J&S officials said, was designed with an open floor plan to give residents the sense that they are living at home rather than in a care facility. The facility will include hallways that are easily navigated with easy access to outdoor spaces and common areas to promote social interaction. A secured 8,100 square-foot exterior courtyard will be located at the backside of the facility to provide a natural setting. The 208 square-foot residential rooms will also have an at-home feel, featuring individual restrooms, carpet and at least one window to allow natural lighting. The facility will also offer four two-bedroom units to accommodate residents who wish to have a roommate. The main covered canopy showcasing the front of the facility will feature a fiberglass cupola, PVC balustrade system and precast columns. The roof will be a mixture of shingle and membrane roofing to mask any equipment needed to maintain the building’s heating and cooling. Bailey Manor is a family-owned company that specializes and caters only to Alzheimer’s and dementia care. Existing facilities are located in Manchester, Winchester and Fayetteville. Earlier this year, Dominion Senior Living opened a new $5 million assisted living and memory care senior living community in Crossville, designed for residents with Alzheimer’s or other forms of dementia, a first-of-its-kind facility in the Upper Cumberland. Bailey Manor did not disclose the cost of its project in Cookeville.